November 26, 2009 | Yes, I know, I am TERRIBLE about updating this blog but I’m not giving up. In any case, here’s another picture from the J&J Transparante Tour. 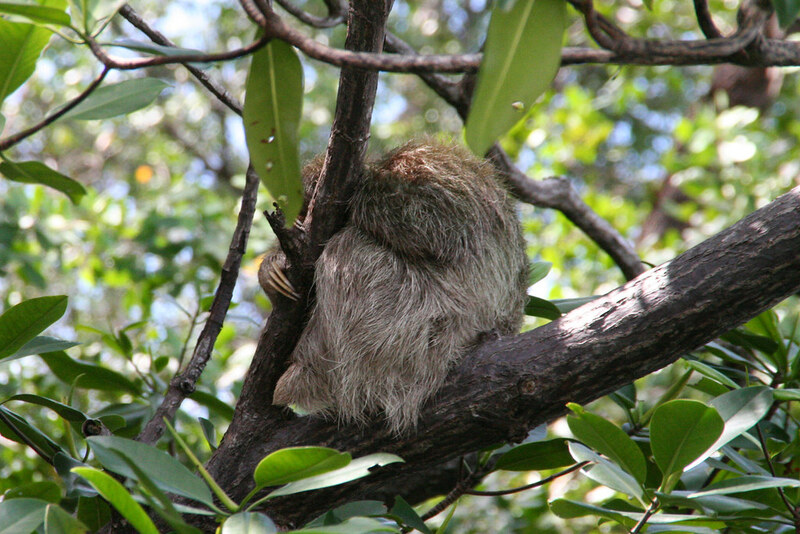 Trying to zoom in on a sloth in a tree while on a drifting boat was not easy! Here’s an idea of how far we were (and I’m pretty sure I used some zoom on this too). The sloth-sighting was a little bonus for the tour! November 26, 2009 | We had pre-scheduled a snorkeling tour with J & J Transparante Tours in the morning to see Dolphin Caye, Crawl Caye, Red Frog Beach, and Hospital Point. Our group consisted of 28 people, all tourists of course. The first stop we made was Dolphin Caye. I was doubtful we’d see any dolphins, but after a little while, we found ’em! It was rather difficult getting a good shot– this isn’t the best picture I’ve ever taken but it’s the best I got of one of the dolphins out of the water! Also, I could recrop the photo so the waterline is horizontal but I’m feeling lazy now. 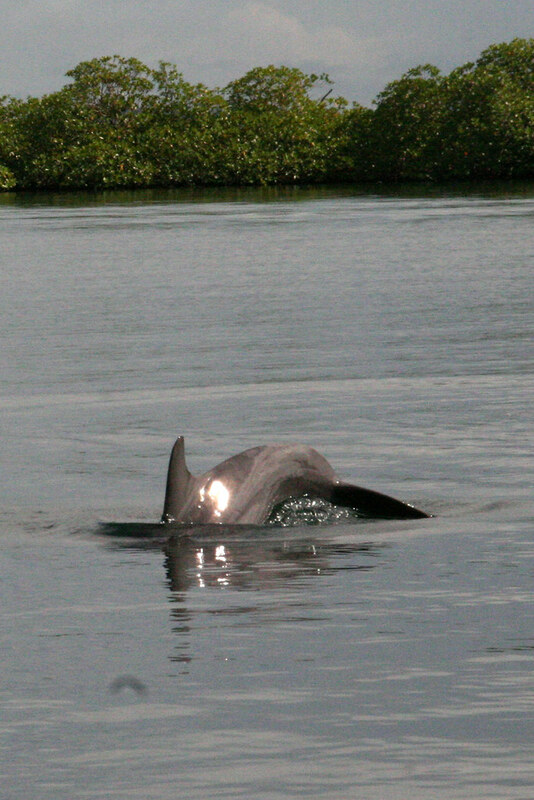 Anyway, at one point, some of the dolphins were following behind our boat and jumping in the wake! The tour was $92 total for the 4 of us– very affordable! I actually was very impressed with the tour but I’ll write more about that in following posts. I like the composition of this shot better though. Shoulda brought my tripod! November 25, 2009 | Almirante isn’t a particularly beautiful place, but it’s where the water taxi place was to take us to Bocas del Toro. It’s roughly a 30 minute or so ride to Bocas del Toro by water taxi and cost us $4 per person. 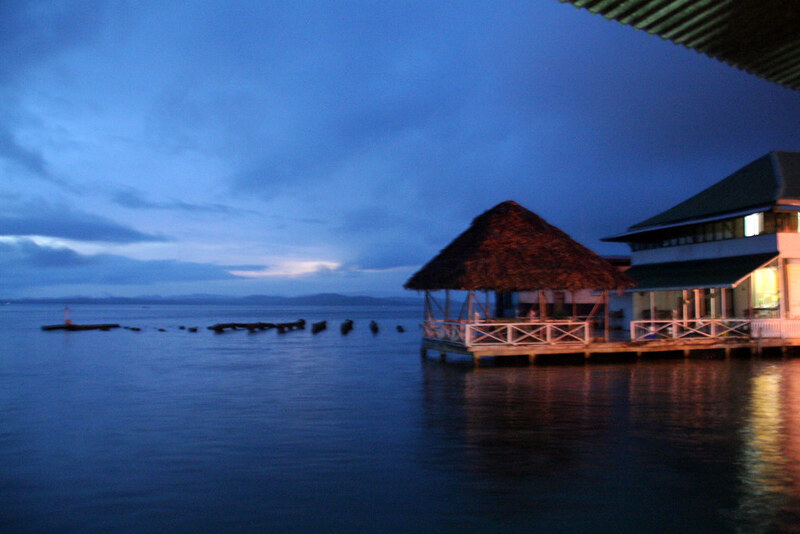 Bocas Towne is on Isla Colon, the largest island in the Bocas del Toro archipelago, located in the Caribbean. 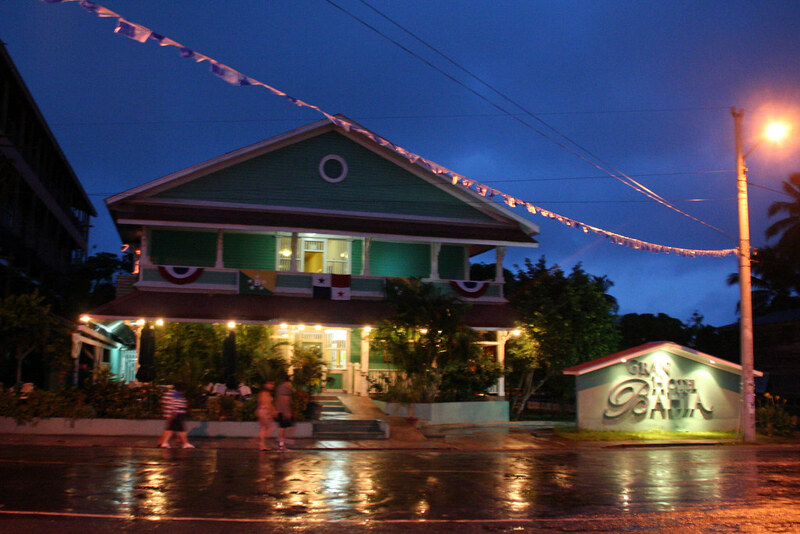 When we arrived, it was immediately apparent that the climate was much warmer and typical of the Caribbean. I got pretty sweaty in the 10-15 minute walk to our hotel, Gran Hotel Bahia. The hotel looks pretty cool from the outside but my parents were less impressed with the inside. It’s an older place and feels like it. I didn’t mind so much but *shrugs* ya know, parents. We paid $116 per night for 2 nights for the 4 of us. At least we had AC. 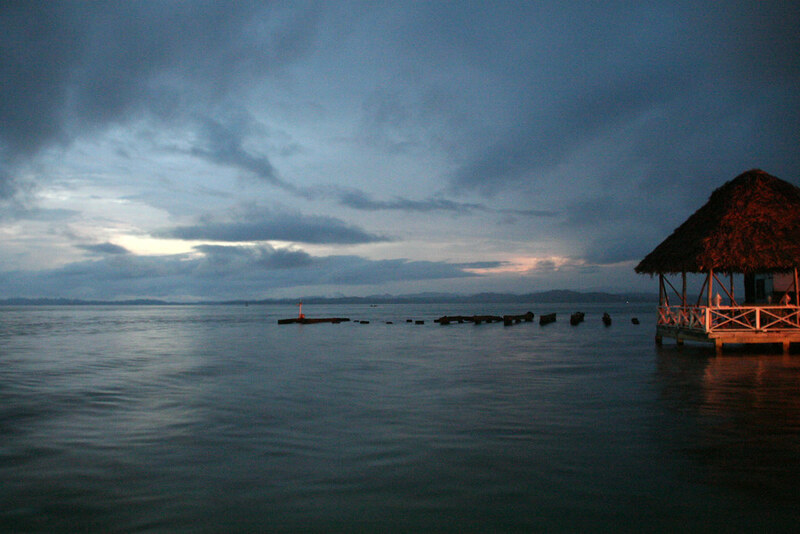 Bocas del Toro was very touristy and good for surfers.